I had a backup Yashica T4D (date) which I tried to sell on eBay. I thought it worked, but the buyer did not, so I gave her a refund. I’m pretty sure it works, so I decided to disable the date function non-destructively, in case anyone wants to resurrect it. Turns out it’s really easy. 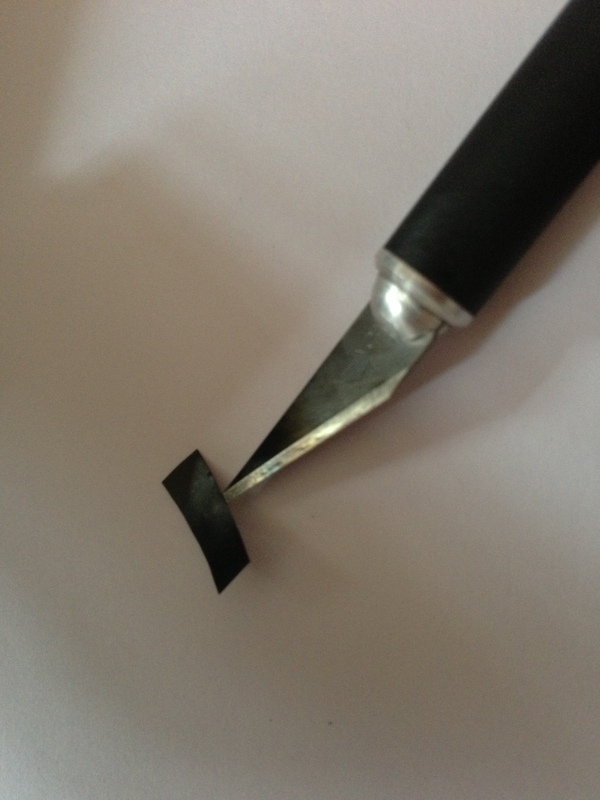 You’ll need a small Phillips head screwdriver, some black electrical tape, and an Xacto (or similar) knife. 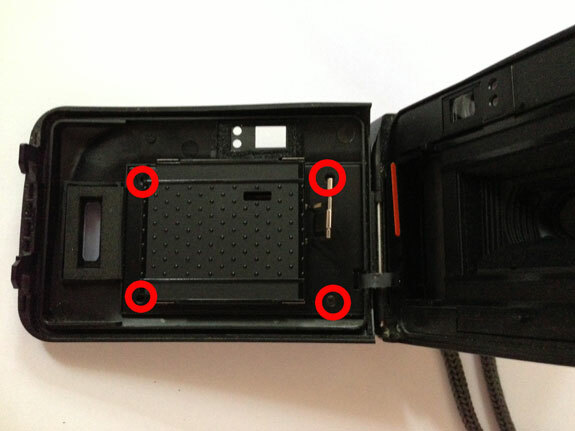 Open the film door and look at the film pressure plate (that bumpy plastic rectangle in the middle of the back door). There are four small Phillips head screws, one on each corner (circled in red in the photo above). Remove them. The pressure plate comes right off. Set it aside and keep an eye on those little screws. They have a tendency to disappear. Now you can see the window that shines the date onto the film. It’s at the top because, if you recall, the T4 exposes frames “upside-down” so the top of the camera corresponds to the bottom of the frame. All this stuff you see is plastic but relatively sturdy. 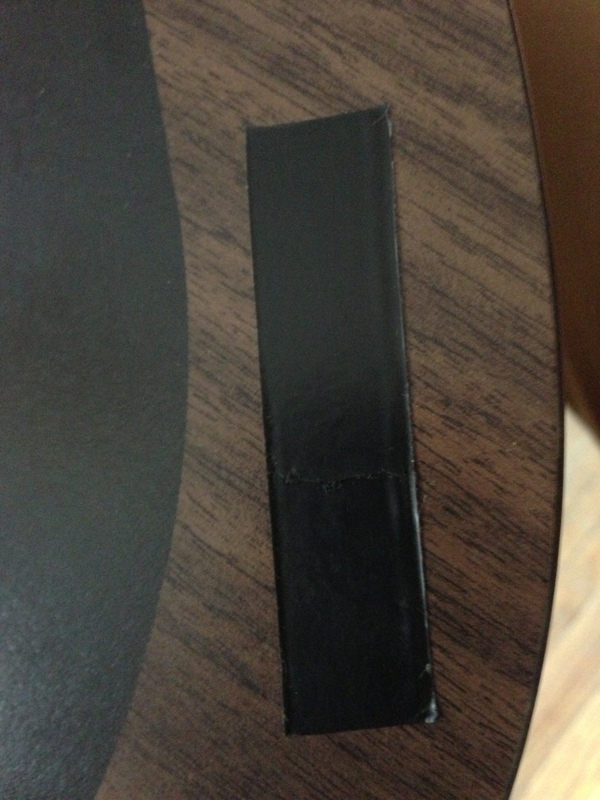 Here’s a piece of black electrical tape. 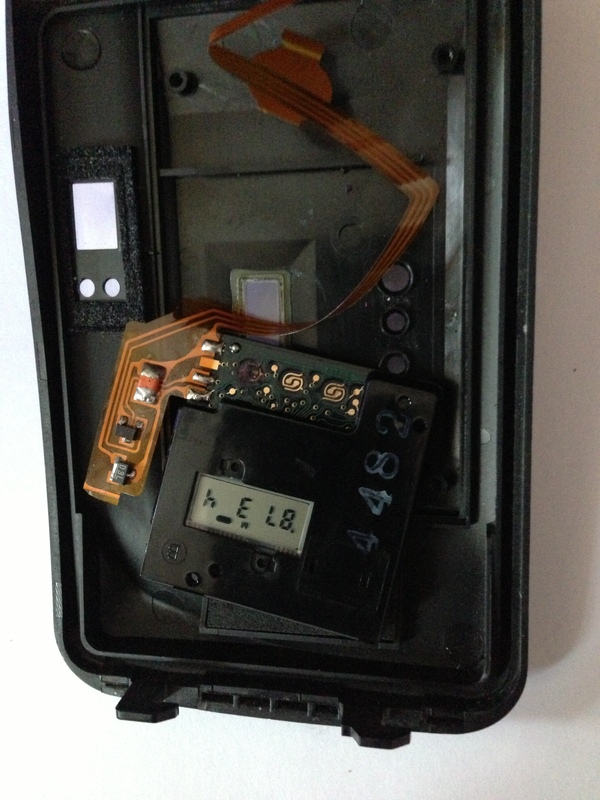 We’re going to cut a couple of pieces out of it to mask the date windows inside and outside the camera. I’ve cut this piece of electrical tape to be a bit larger than the inside date window. Here I’m positioning the electrical tape over the window. Here’s the other side of that same piece of plastic. 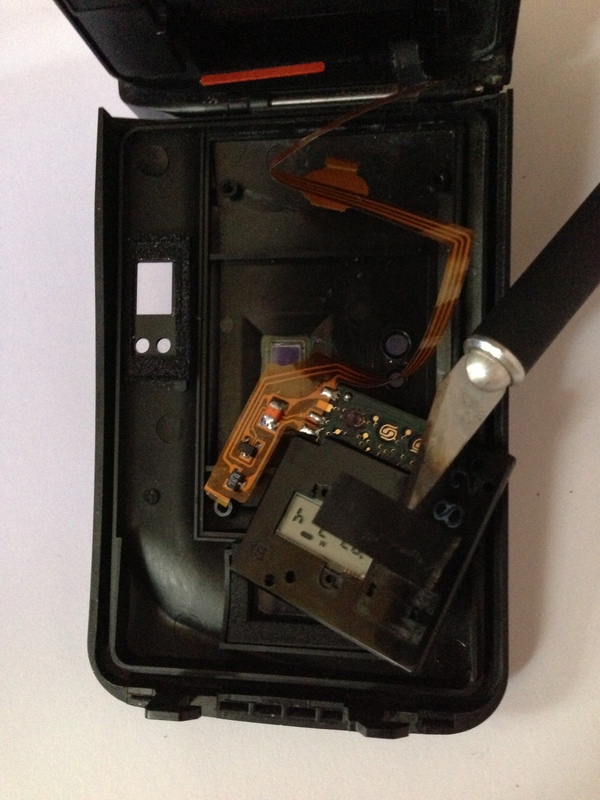 We’re going to cover up this LCD, too—it’s what you see from the back of the camera. Note how far off the date is (I can’t change it). 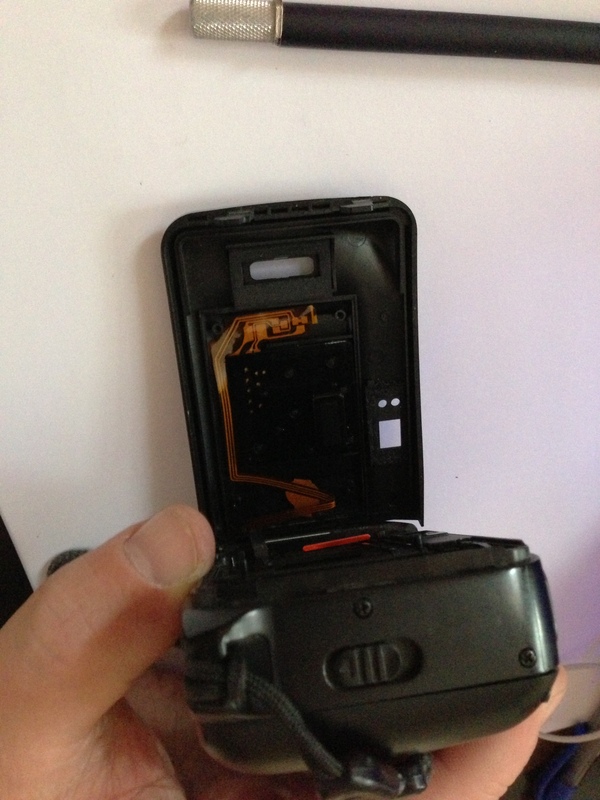 We’ll cover that one up, too, with a piece of electrical tape that’s a bit larger than the LCD. Now, put it all back together. 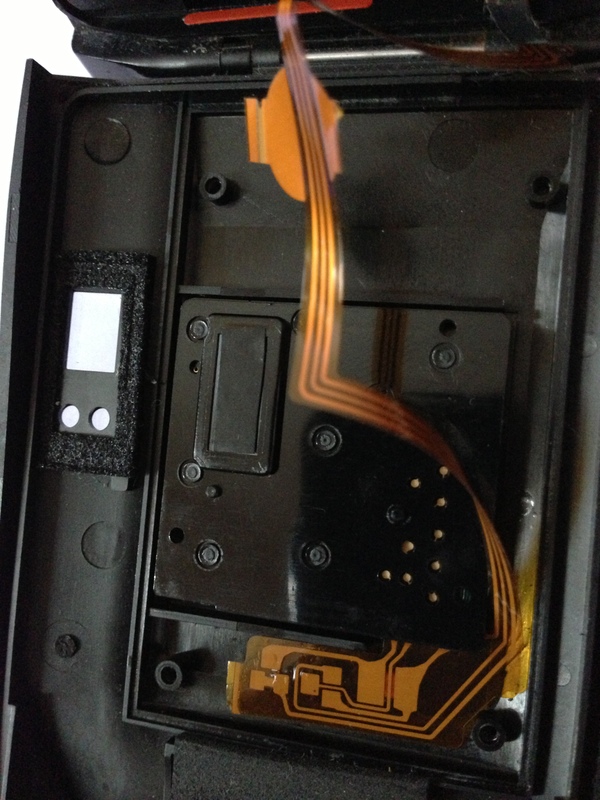 All you really have to do is flip the square of plastic with the LCDs in it back over, place the pressure plate back on it, and put the four screws back in. Note that at this point, I’ve lost the little rubber button pad (the one that you attack with a ball point pen from the back of the camera). 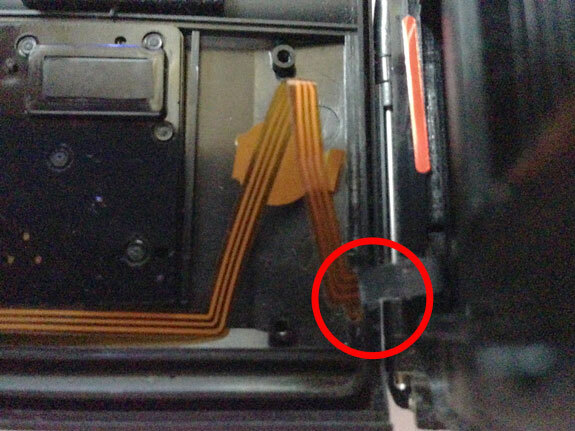 As you put it back together, note that there’s a little channel that this ribbon cable settles in (circled in the photograph above). 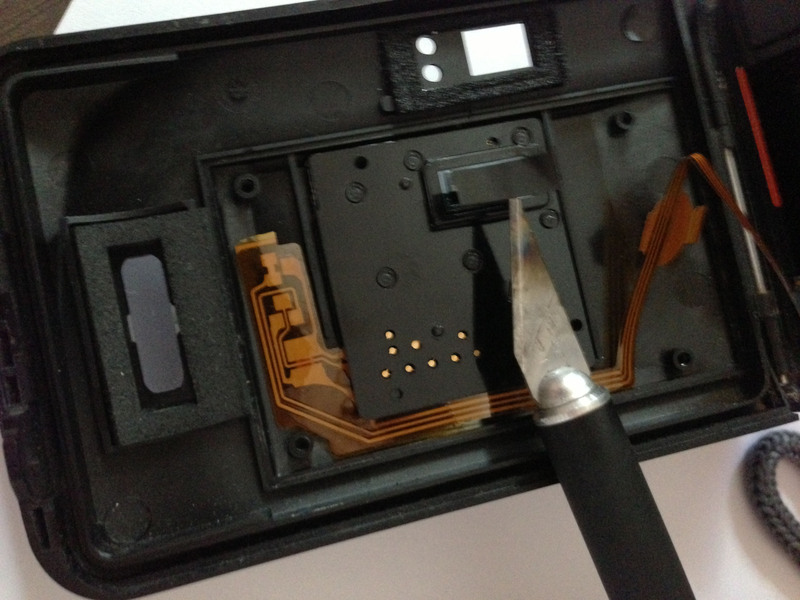 Holding the camera so its two halves are at a 90 degree angle will help you keep the ribbon cable in the channel while you screw the pressure plate back on. I told you I lost the button pad! I’ve since found it and will reinsert it. I’ve loaded a roll of HP5 Plus into it and will let you know how it goes. Hi! I know this post is years and years old, but did this work? Is the date replaced with a black rectangle? I have a T4 and my date button is stuck too. :-(. It totally works. It blocks the light from the date imprint function from hitting the film from the backside. 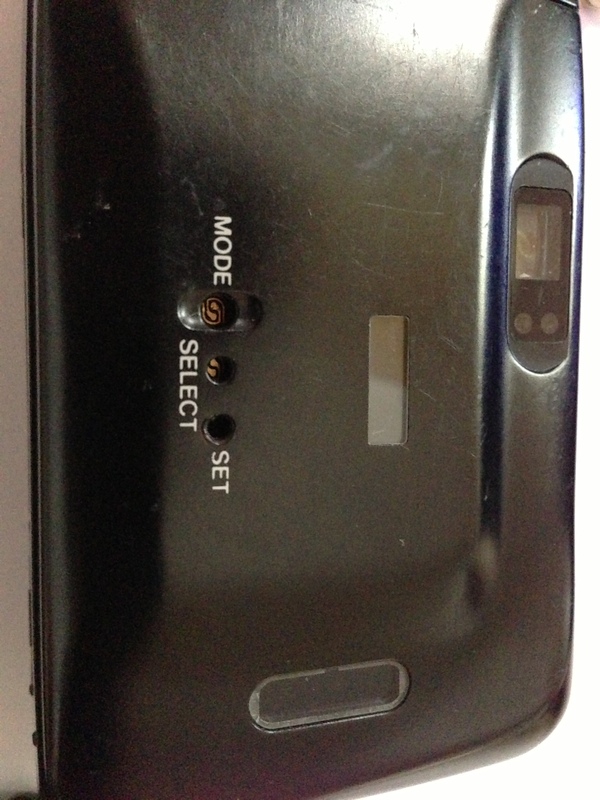 The film is still exposed from the front (via the lens), so no black rectangle. Enjoy! That’s great news! Thanks for the quick reply! Off to get some electrical tape. I have a question that perhaps you could answer, or maybe point me in the right direction. The lens on my T4D will not retract fully, leaving the lens cover open. 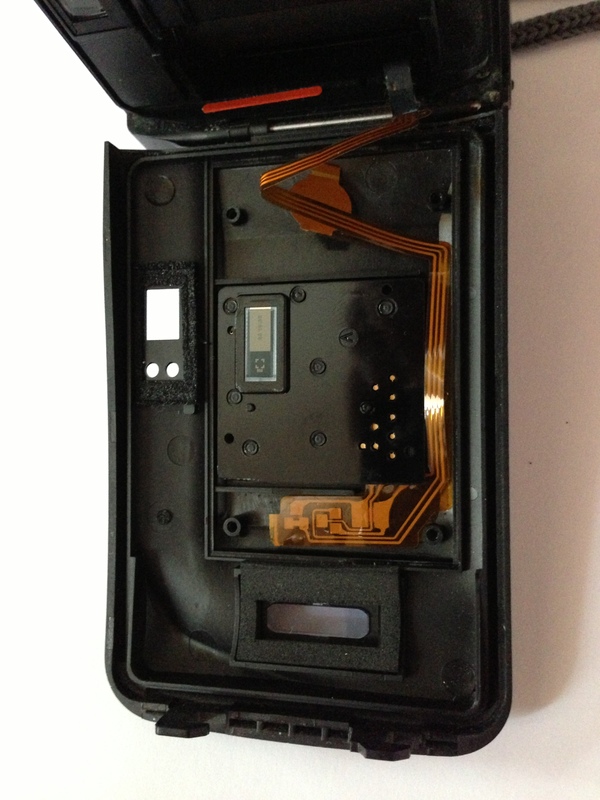 If I press the shutter button or flash button the lens will retract that final little bit and the cover will close. I installed a new battery. Thank you. I’m not technically savvy enough to help you on that one. Installing a new battery is what I would have done as well. At least it does finally close.